Today (New Year’s Eve), the press are reporting the Queen’s “New Year Honours.” Typically the establishment worthies have their numbers made up by newly decorated members from showbiz and sport. Patrick Stewart a.k.a Jean Luc Picard of the Starship Enterprise becomes a knight. Whilst in no way wanting to detract from Sir Patrick’s achievements, the British Gazette would like to draw the reader’s attention to one name who should have been on that list but wasn’t – and will unlikely be there in future. That is the name of Professor Colin Blakemore. Professor Colin Blakemore, FMedSci, FIBiol, Hon FRCP, FRS, is one of this country’s most eminent scientists. He is also one of this country’s bravest. This is because the professor has been brave enough to defend and argue for the continuance of “vivisection” – medical experiments on animals. In doing so the professor has become a “hate figure” amongst animal rights extremists and has been (along with other members of his family) the subject of terrorist attacks. True the authorities have come to his aid – in terms of his personal security. However, these same authorities whilst welcoming his brave and principled stand show a typical craven cowardice when it comes to recognising his achievements. The professor has been repeatedly passed over for recognition to avoid controversy. The professor’s replacement was Sir Leszek Borysiewicz PhD, FRS, FRCP, FRCPath, FMedSci – knighted upon his appointment as Chief Executive of the MRC in October 2007. 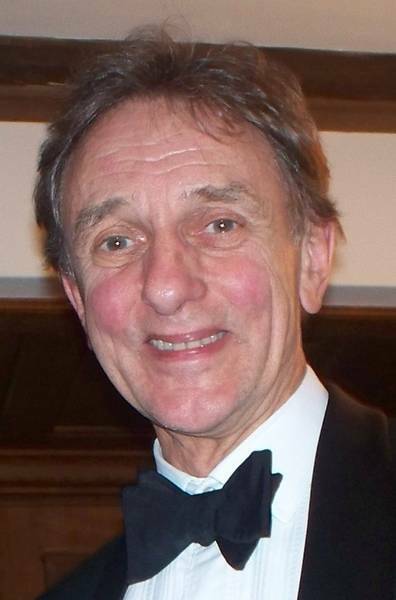 Professor Colin Blakemore therefore remains the ONLY CEO of the MRC who has not been knighted. Of course the professor failed to recognise that he was dealing with men devoid of principle – save that sacred principle of putting their own interests first. On Wednesday 7th November, 2007 the professor was appointed Chair for the General Advisory Committee on Science (GACS). The overall purpose of the GACS committee is to offer independent challenge and advice on how the Food Standards Agency collects and uses scientific evidence. The Committee’s agenda embraces horizon scanning, science governance, developing good practice and informing science priorities. Professor Blakemore’s appointment ran for two years, to the end of December 2009. On 1st June, 2009 he celebrated his 65th birthday and can now claim to be an old age pensioner. One would have thought that with his distinguished career behind him the government could at last have done the decent thing and have rewarded him. But no. But then what should we expect from a bunch of lying dissembling cowardly traitors? The refusal to honour this man shows the lamentable lack of guts and basic decency possessed by this squalid crew of Quislings that masquerade as the government of this country. 1944 Born 1st June in Stratford-upon-Avon, Warwickshire. Educated at King Henry VIII School, Coventry, Warwickshire. 2003-2007 Chief Executive, Medical Research Council. 2007-2009 Chair for the General Advisory Committee on Science (GACS).